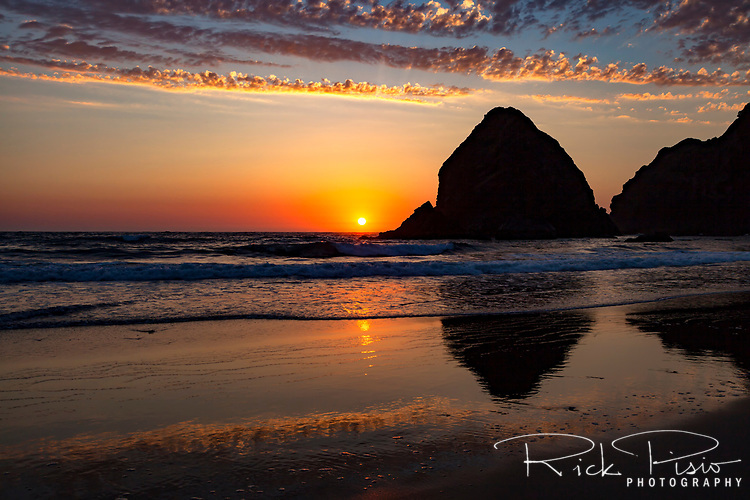 Whaleshead Rock reflects in the sands of Whaleshead Beach in Southern Oregon north of the town of Brookings. Whales Head Rock is a sea stack that resembles the head of a whale. When a wave hits a channel cut into the sea stack it spurts spray that looks like a whale spouting.